As our regular reader will know (evening Brian), it's been a tough year here at Popcorn towers. 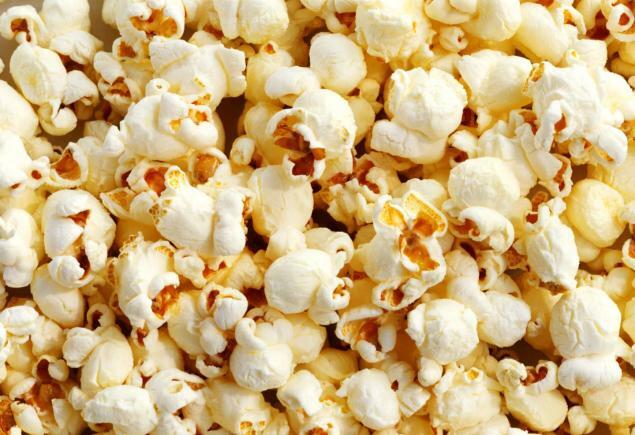 Life has been getting in the way, and many of the films we wanted to see (The Martian for example) had gone before we could get there (which is daft given how long it was around). Of the films we did see, there seemed to be a high level of dross (Spooks, Terminator, Survivor, Cake, The Longest Ride...), so picking an actual 10 has been a real struggle. There were some we didn't get a chance to write up of course, and both Shaun The Sheep and Minions were an enjoyable way to pass the time if never likely to bother a top 10. Then there were the ones that the world seemed to go mad for (Carol, Inside Out) which left us a bit non-plussed. Oscar nods? Really? No way were we expecting to enjoy this, but an actor moving behind the camera is always worth catching just to see how they handle the transition. And Russell Crowe did OK. Everything was in the right place, the story was well told, and you emotionally connected with all of the characters - including, most surprisingly given his recent efforts, Crowe himself. A shock inclusion and no mistake. Not an obvious choice perhaps, but we really enjoyed it - which in a year of Fantastic Four, was a real high point. 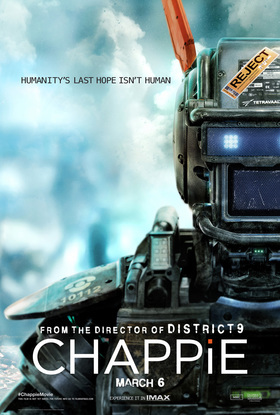 Derivative, dodgy mullets, questionable acting, Chappie had the lot. But it also had a little robot with a big heart. And that did for us. 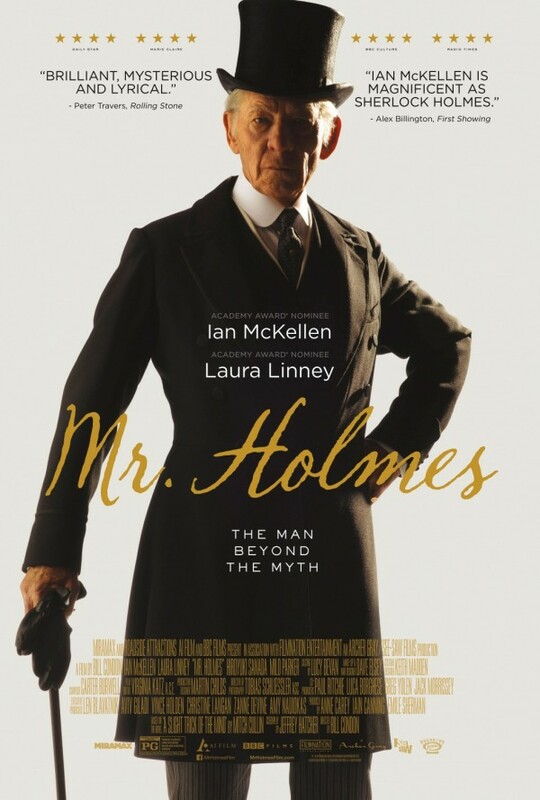 Sometimes, a well-made film with great performances that wraps you in a warm blanket is just what the doctor ordered - and so it was with Mr Holmes. It's experience-youth dynamic worked a charm, while Sir Ian McKellen was on top form as The Great Detective haunted by the one that got away while old age creeps up on him. One of the ones we didn't manage to actually write about, but we're so glad we managed to squeeze it in to our cripplingly busy schedule. 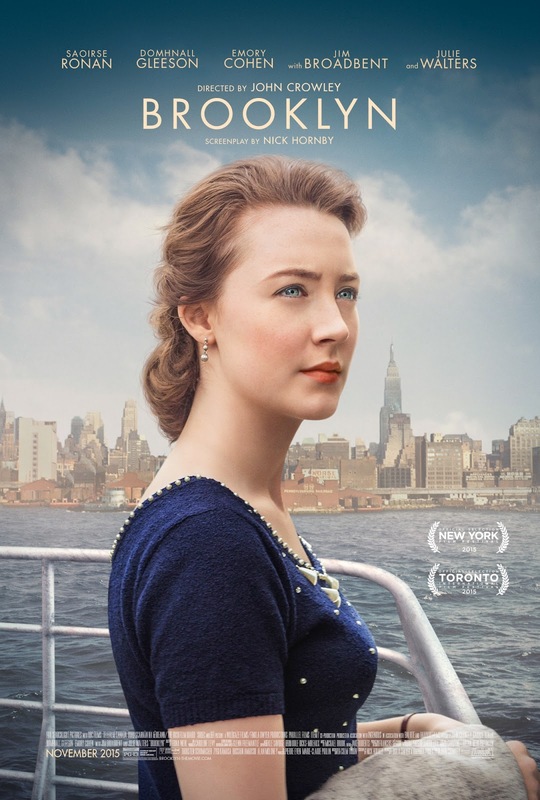 Saoirse Ronan continued on her path to the top with a note-perfect portrayal of a young woman from Ireland who moves to America in search of work and a better life. Captivating and beautiful, and with a stellar cameo from Julie Walters, Brooklyn was one of the few films to captivate us. You know, sometimes, you just want to switch the brain off and let the film do the work. 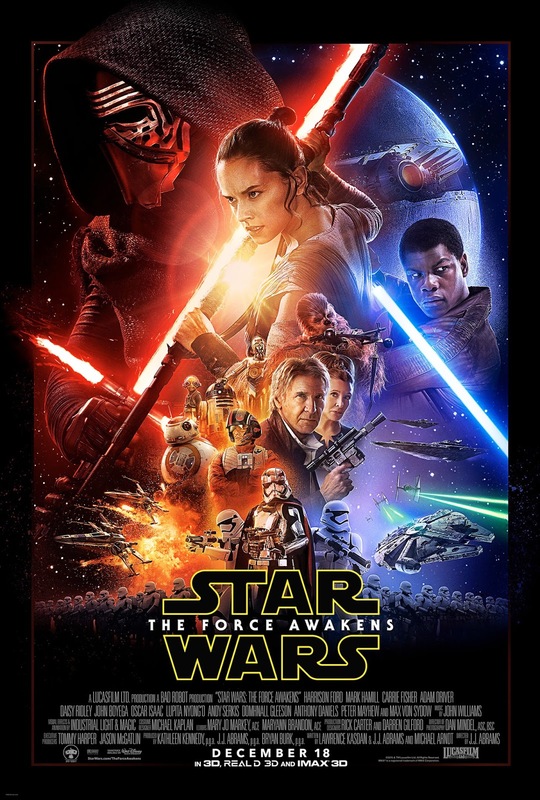 Not have to worry about the plot, just watch things go BANG and BOOM and KERBLEWIE. That's when you need Mad Max. It's dumb as nuts, but God it's fun. 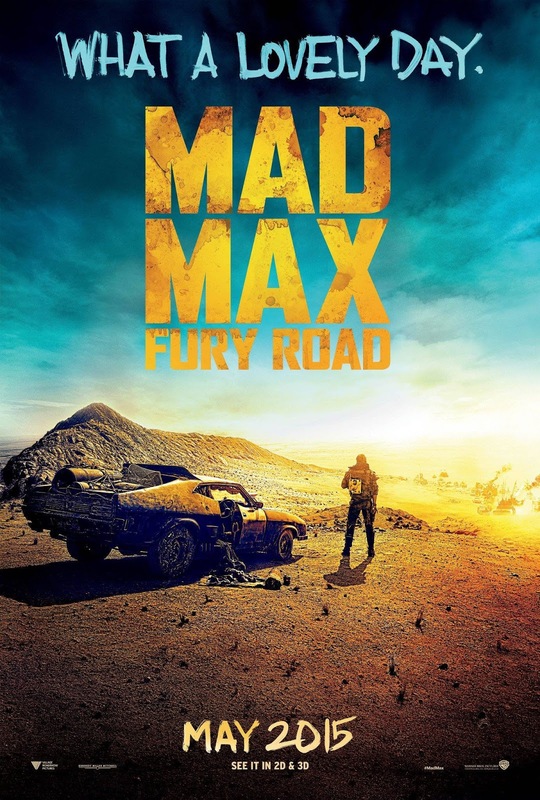 Tom Hardy, Charlize Theron and Nicholas Hoult all buy in to the mayhem and you just spend your whole time grinning. All action films should be like this. 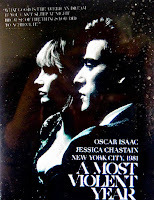 After Margin Call (which we loved but no one saw) and All Is Lost (which we also loved, but even fewer people saw), J. C. Chandor returned with his take on the gangster movie. 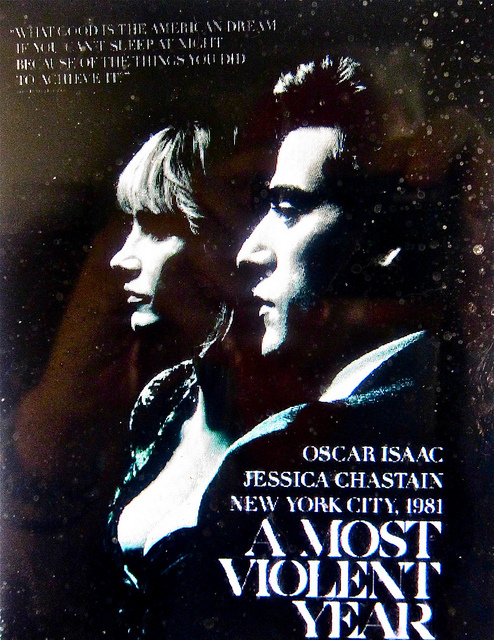 Capturing the early 80s perfectly, Oscar Isaac and Jessica Chastain shine as a couple trying to survive during the worst year in New York's history. Chandor is now one of our favourite film-maker types. Now the hype has died down a smidge, the critics and naysayers are starting to emerge and suggest that JJ Abrams continuation of a franchise George Lucas started and then almost killed is not all that. Pish. Story's not original? Don't care. Issues with Finn? Tough, live with it. Think there are massive holes in the plot? You're right. Not important. Because what JJ has done is bring love back to The Galaxy. None of that Binks crap, no sign of that Christensen fella (anywhere, thankfully), just old friends and new acquaintances. And the Millennium Falcon. Oh and BB-8, the most loveable robot since Wall-E.
Are you rushing or are you dragging? A year on from watching this, the intensity has still not left us. 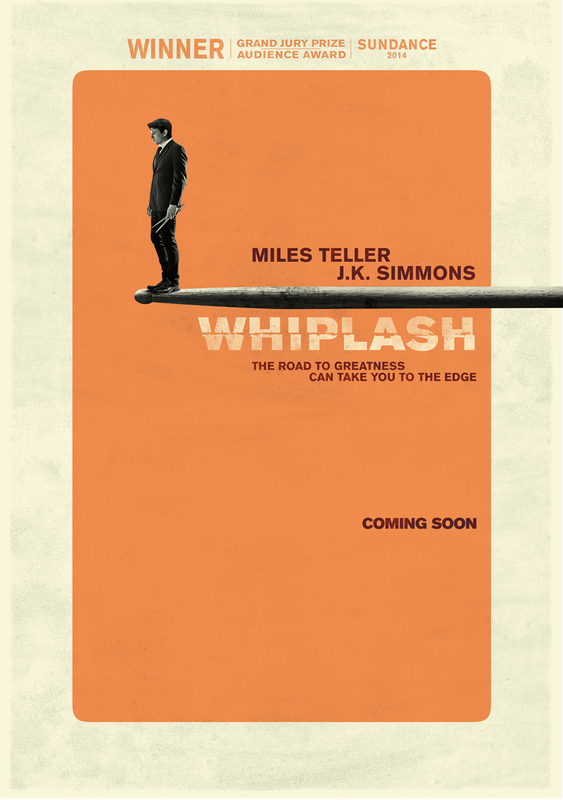 It's not often we don't move during a film, but this had us by the throat from the off. It's an army film, to all intents and purposes, it's Platoon, it's Full Metal Jacket - but with drums. And a jazz Platoon to boot, with the editing embellishing the pace and off-beat rhythms of the film. A stunning piece of work. The thing you learn as you go through life is that it's not the story you tell that's important, it's how you tell it. As with Senna, where the outcome was already known before you started watching, Amy Winehouse's life was an open book - plastered across every tabloid in the land. And yet Asif Kapadia again manages to draw you in and entrance you with his tale. You know about the drugs, you know about the tragedy, you know about the gigs that went badly wrong, but Kapadia makes it all feel fresh and new. And most importantly of all, he makes you care. This isn't a gawp at fame going badly wrong, this is the tale of a young woman left to flounder in a world she wasn't comfortable in - and the tale of those who let her down the most. 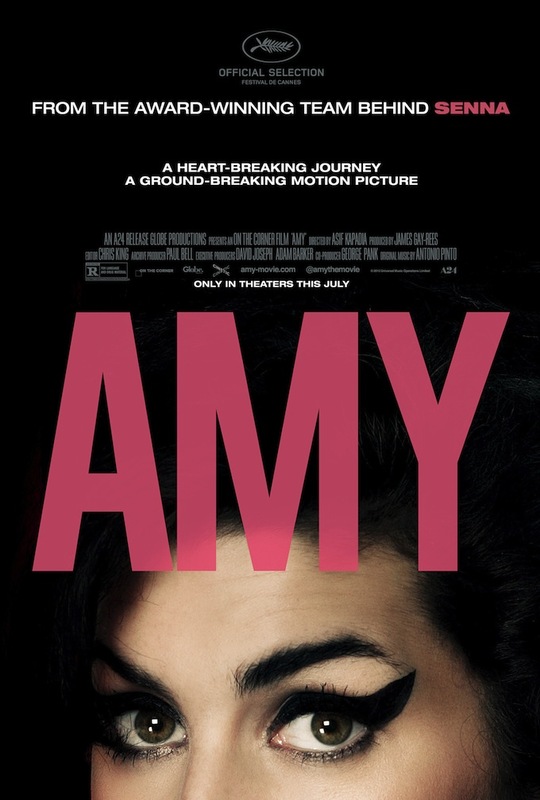 While appreciating her music, we wouldn't have called ourselves fans before going to see Amy. But we came out of the cinema and went straight to HMV and bought three albums. We also came out hating her father. 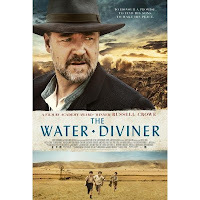 A film that will stay long in the heart and mind.